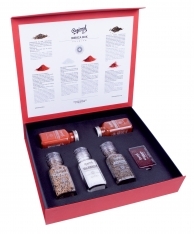 Gourmet › Spices › Regional Co. › Professional cocktail botanicals premium box Regional Co. 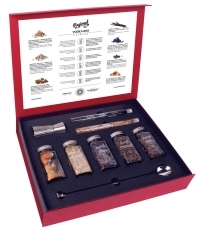 This professional cocktail premium box from Regional Co contains a selection of spices for the preparation of truly superior cocktails. You'll find vanilla pods, pink pepper, cardamom, juniper berries, Ceylon cinnamon, and Jamaican pepper, as well as star anise and mallow flower, Jamaican coffee and nutmeg - all selected by leading botanists to provide the greets flavours for your mixology! You are reviewing Professional cocktail botanicals premium box Regional Co.